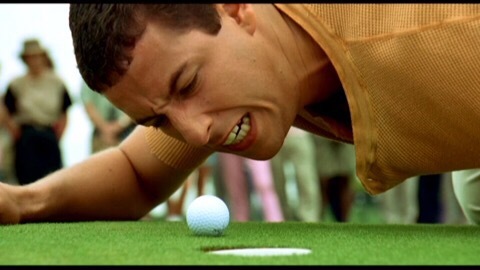 Happy Birthday to Adam Sandler, who turns 50 tomorrow! Ohh – Controversial list? I know a lot of people hate Adam Sandler. He’s done some very bad movies, yes. I don’t love him & I don’t hate him but I like him okay. He’s from what I consider to be “my” era of Saturday Night Live when I was in my teens & watched it religiously. I never saw Funny People, which looks like it could be okay. I’ve not seen quite a few others as well but they don’t strike me as ones that would make my top ten anyway! 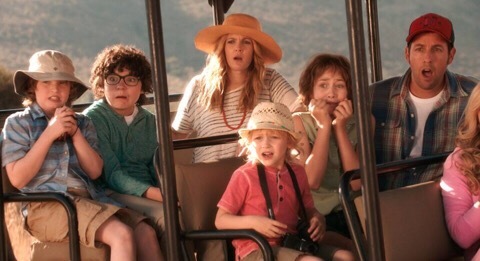 I’ll watch Blended at some point since Drew Barrymore is in it but it certainly looks like no The Wedding Singer. I did watch Pixels! I reviewed that HERE. I had some hope for that one but my hopes were crushed. Damn. At least my kid liked it, though, and it got her liking classic video games a lot more. So thanks for that, Adam Sandler! **List updated March 12th 2017 to add Blended. Punch-Drunk Love is an underrated masterpiece in my opinion. You and I are on the same page when it comes to Adam’s best film. 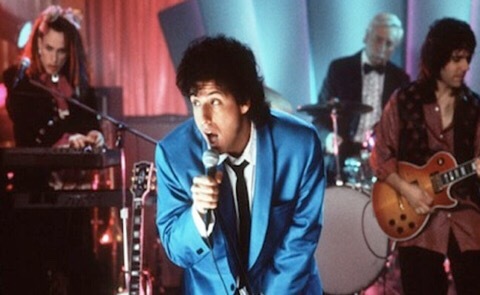 There is a chemistry between Mr. Sandler and Ms. Barrymore that transcended this film and it surprised me when they did not become a real-life couple after this film.The Wedding Singer is a comedic wonder to behold. I couldn’t agree more; they have an incredible chemistry. I used to be a sucker for Sandler’s films. Punch-Drunk Love is probably my favorite performance wise, followed by Spanglish. 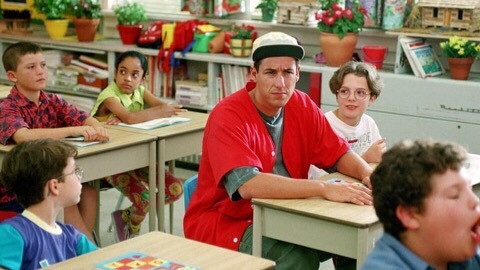 But Billy Madison will always be my favorite film of his. Heh, very controversial list indeed! Punch-Drunk Love which I’ve recently seen is the only great Adam Sandler movie, I’d say.But I have always enjoyed Big Daddy! I consider it a badge on honor that I’ve never seen an Adam Sandler movie. The trailers were enough to keep me away. I’ll admit I did like his bit The Thanksgiving Song. Speaking of trailers..one of the best I’ve ever seen was for 2008’s Harold And Kumar Escape From Guantanamo Bay. I’m sure it’s on YouTube. Definitely worth a look. Maybe I’ll try The Wedding Singer. I’ve heard good things about it. Wedding Singer for sure!! 50 First dates was good too. I honestly haven’t seen any of these. The most I’ve seen of Sandler’s work is Bedtime Stories, which was lame for the most part, as most of his films look. Click is the only one I’ve been curious to see, but I may have to give The Wedding Singer a chance. No “Little Nicky” or “Eight Crazy Nights”? 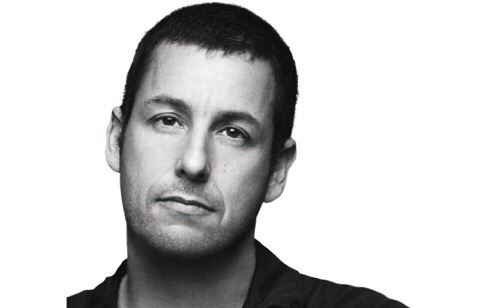 I’m one of those people who HATES Sandler movies but I actually like him as a person based on interviews and other things he has been involved in. I did like 50 First Dates and The Wedding Singer. I did like most of Pixel, putting me in a minority there. I do want to see Hotel Transylvania. I think 50 First Dates is the only movie of his I can call a favorite Sandler movie. 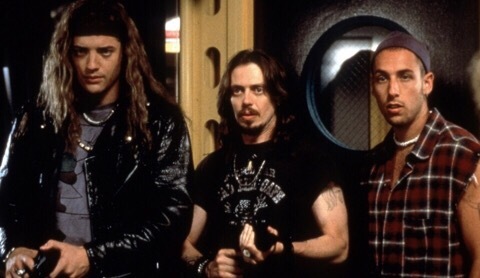 The Wedding Singer is one of my favourite films and 50 First Dates broke my heart (in a good way)… oh and Mr O and I have three copies of Airheads between us… but that’s where it ends for me. He just looks so miserable these days, like he’s lost the will to live, which is sad because he’s capable of being really funny.